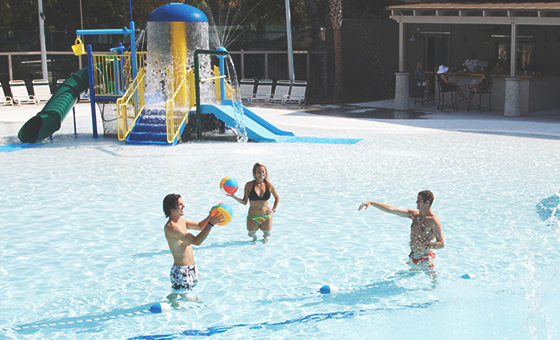 Kiawah Island Golf Resort boasts two interactive pool complexes—complete with multiple pools and casual outdoor dining—strictly for the use of our resort guests so you and your family can play, swim and relax the hours away in refreshing bliss. 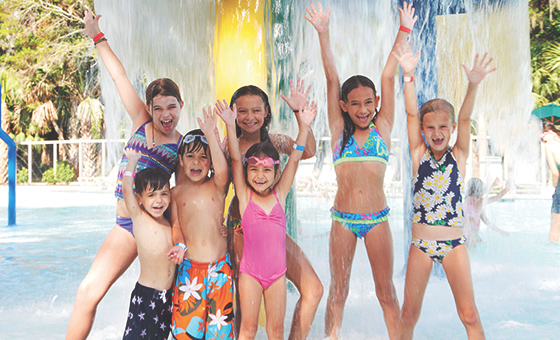 Fun for tots through teens, this pool features two thrilling open-flume slides, interactive spray cannons, a 30-gallon dumping bucket and a separate toddler splash zone with baby bouncers and a mini gator slide. In the spring and fall seasons, the pool is heated to 82-degrees Fahrenheit for the feeling of an endless summer. 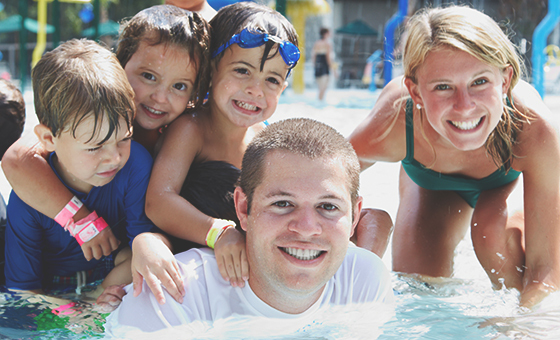 For pool hours, rules and other information, please call 843.768.6001. This junior Olympic-size pool is perfect for swimming laps, shooting hoops and taking a float. The surrounding aqua sundeck features a lounging area for taking in some sun and enjoying a frozen drink. Heated in the spring and fall and chilled in the summer, you’ll find the water is always just right. Insider tip: The best time for lap swimming is between 8:00 and 9:30 in the mornings. 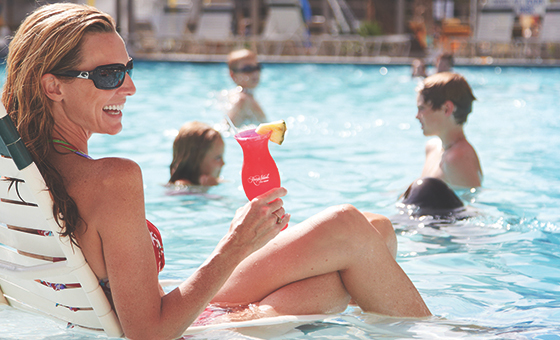 For pool hours, rules and other information, please call 843.768.6001. Enjoy cool fun in the summertime at this interactive pool complex featuring an aqua playground with kiddie slide and spray features, a five-foot swimming area and tube slide. For pool hours, rules and other information, please call 843-768-6001. 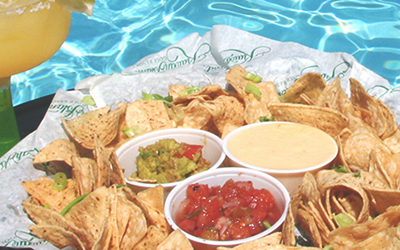 Feast on our island twist on Mexican cuisine without leaving the pool complex. Make sure your kids can take part in all the fun. Allow one of our trained instructors, fully certified in First Aid and CPR, teach your littlest ones the basics of swimming or help your swimmers perfect their stroke.